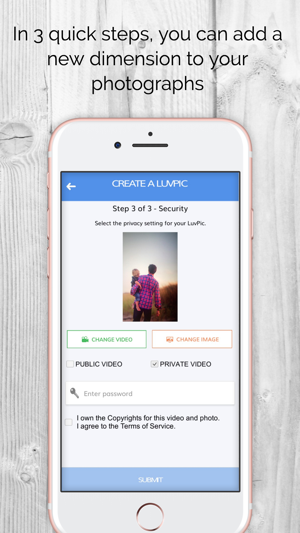 Add a video message to a photograph with LuvPics. 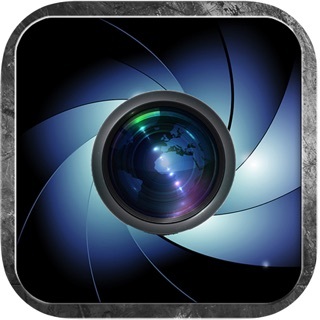 All you need to do is record or upload your photo and video. 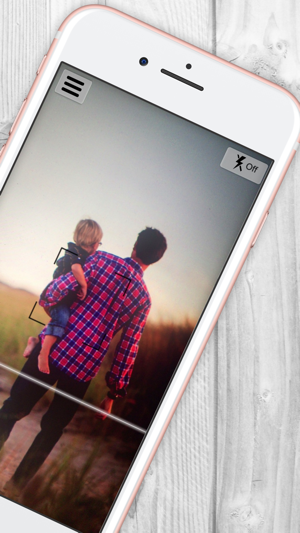 Then your friends or loved ones just need to scan your photo with our iPhone app. 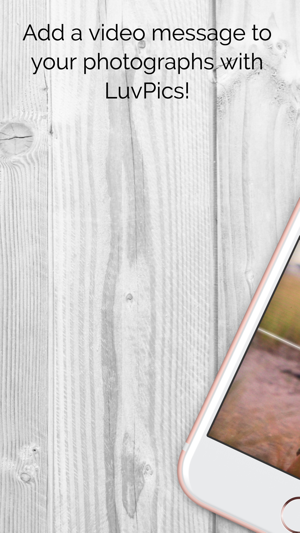 Watch the magic happen via augmented reality! 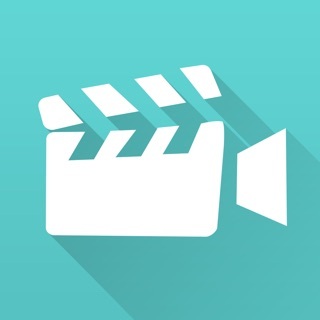 If you want to make your hidden video message very secure, you can add a password. 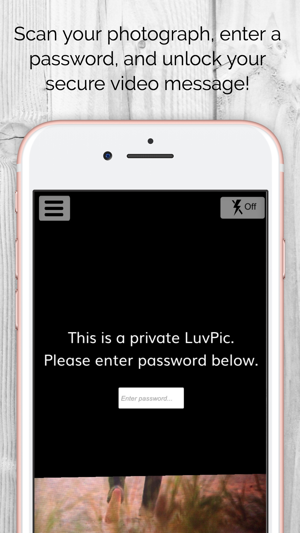 LuvPics are safe and secure! We use augmented reality and our patent US9324014 to make the magic happen!